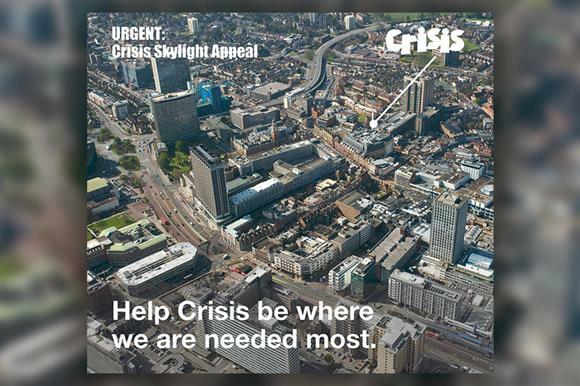 The London borough of Croydon might not immediately come to mind when thinking of areas of greatest need, but Crisis found that the borough’s number of rough sleepers and levels of deprivation are some of the worst in the capital. The charity was determined to meet this urgent need by opening a Skylight centre, offering a safe place for hundreds of homeless and vulnerable people to find a way out of homelessness. The Croydon Capital Appeal was launched in July 2016 with the aim of raising more than £285,000 to help towards the costs of refurbishing the building. Crisis’s major donor and direct marketing teams worked alongside the agency Catalyst Works to engage an audience of previous donors. They were treated like valued investors and sent a pack including floor plans, photos and drawings of the building and a detailed breakdown of costs. The pack worked to engage people with the issues the project would be working to solve, including a message from Croydon Council's deputy leader and the story of one homeless person helped by Crisis. Fundraising was well above the campaign target, at £377,333, ensuring the new centre became a reality. The average gift was £204.83 from mid-value supporters, £74.83 above target, and £1,203 from major donors, £203 above target. "I love the way this campaign was so targeted on a specific issue, and involved hig- value and direct marketing teams to get the results," said Diana Gornall, director of fundraising and development at Arthritis Care.